Welcome to Reception! My name is Carol Martin and I am the class teacher and the key worker for every child in the class. 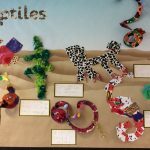 Our teaching assistant is Miss Roberts and together we provide experiences for the children that are vibrant and fun! 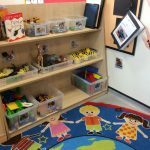 Over the year we cover a wide range of interesting and exciting topics that are based on your child’s particular interests. 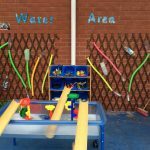 We offer your child a wide variety of multi-sensory activities which cater for their individual learning styles. 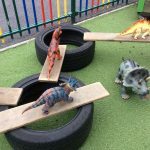 Our approach is a balance between play-based activities, child-initiated activities and teacher focussed tasks that deliver the skills your child needs for reading, writing and concrete maths. 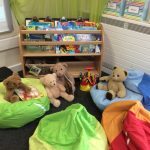 Phonics is taught through ‘Letters and Sounds.’ We also want your child to feel secure and happy in Reception so we work hard to meet their emotional needs and ensure their well-being. We know how important your child and their education is to you so our door is always open should you wish to discuss any matters with us. 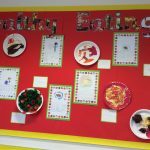 Please visit our class blog where you will see what we get up to on a day-to-day basis. We share and read books.